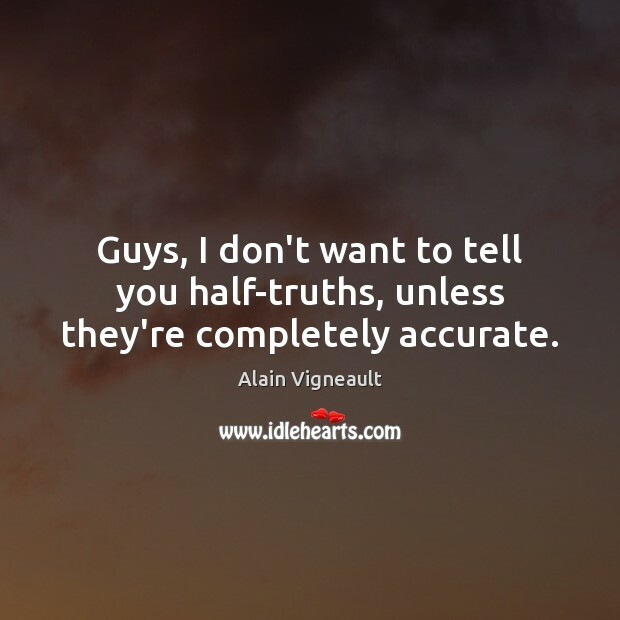 Enjoy the best inspirational, motivational, positive, funny and famous quotes by Alain Vigneault. Use words and picture quotations to push forward and inspire you keep going in life! Guys, I don't want to tell you half-truths, unless they're completely accurate. We're trying to work on Sami to get through that and shoot the puck. 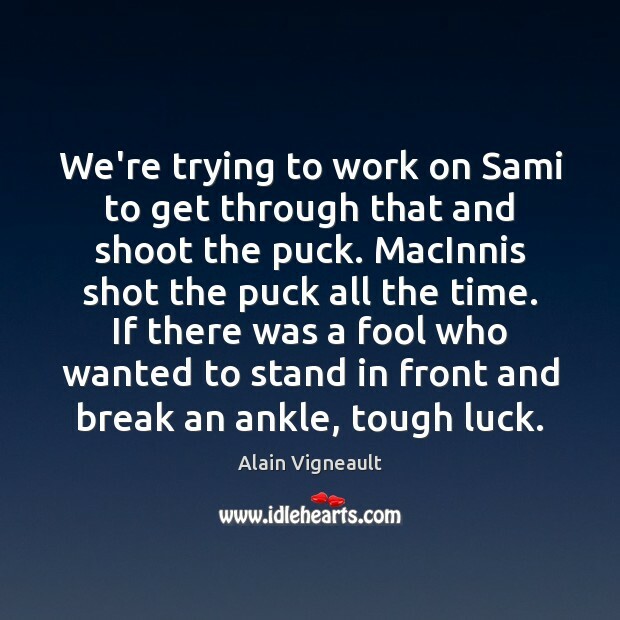 MacInnis shot the puck all the time. If there was a fool who wanted to stand in front and break an ankle, tough luck. 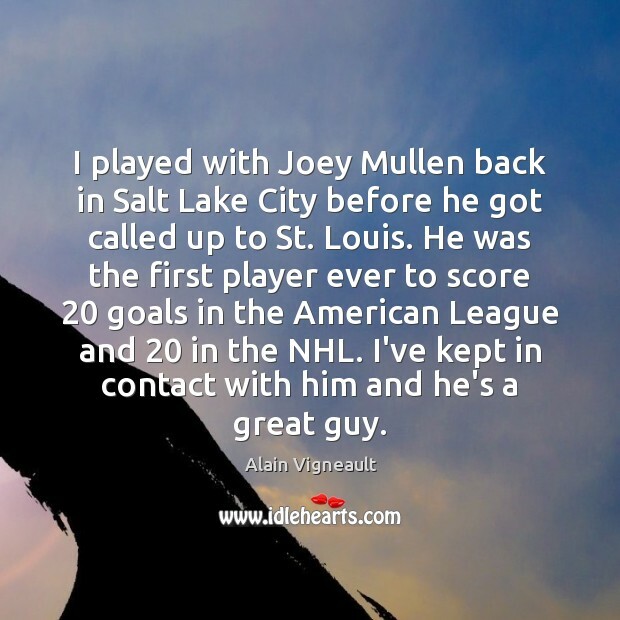 I played with Joey Mullen back in Salt Lake City before he got called up to St. Louis. He was the first player ever to score 20 goals in the American League and 20 in the NHL. I've kept in contact with him and he's a great guy. 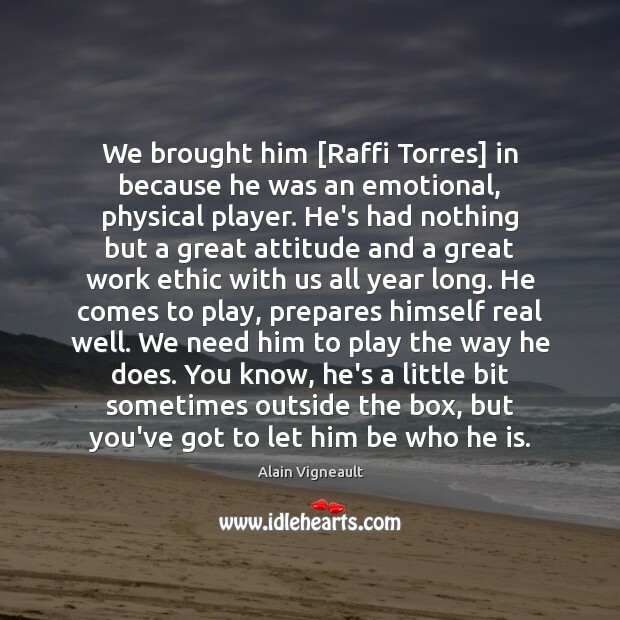 We brought him [Raffi Torres] in because he was an emotional, physical player. He's had nothing but a great attitude and a great work ethic with us all year long. He comes to play, prepares himself real well. We need him to play the way he does. You know, he's a little bit sometimes outside the box, but you've got to let him be who he is. 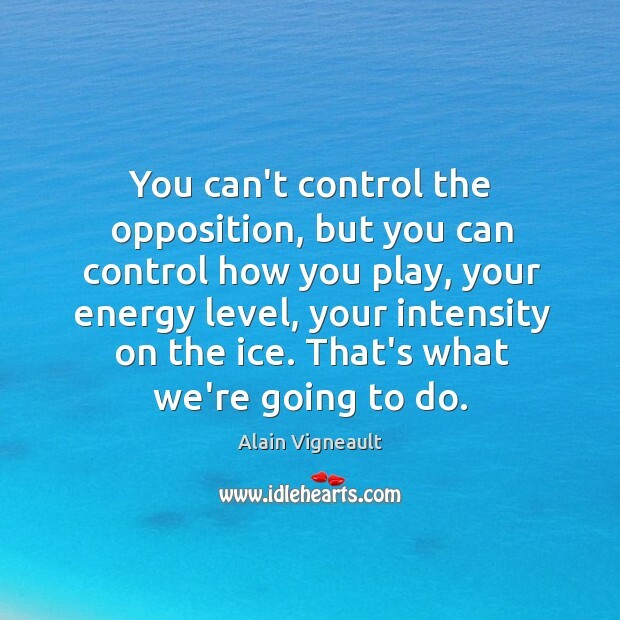 You can't control the opposition, but you can control how you play, your energy level, your intensity on the ice. That's what we're going to do.